WELCOME TO THE NAHSE CHICAGO 2018 – 2020 ELECTION YEAR. The following candidates below are all well qualified, ready and willing to serve as a NAHSE board member. Please select one candidate from each category and your votes will be tallied and represented accordingly. VOTING DATES ARE: WEDNESDAY, SEPTEMBER 27 - SATURDAY, SEPTEMBER 30, 2017. Thank you for your participation and good luck to all the candidates. All candiates are in good financial standing with NAHSE National. The nominees and their biographies appear below. Please return to election survey page to cast your vote. Thank you. Trena Burke is a Quality Outcomes and Process Improvement professional at St. Anthony Hospital where she is the project lead in developing, coordinating and submitting the Malcolm Baldrige application. ​She is an Examiner for the Illinois Performance Excellence Board of Examiners including participation in off-site audits to client sites. ​Prior to her current role, she was Assistant Director of Research and Medical Education with Mt. Sinai Hospital and Chicago Medical School at Rosalind Franklin University and Program Management Consultant to the Georgia Doty HIV & Hepatitis Community Outreach program. She received her M.P.A. from Roosevelt University and B.S. in Finance from Northern Illinois University. She has presented at national meetings and published numerous articles on quality assurance. 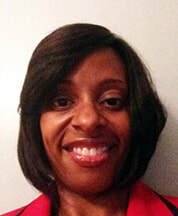 Kelly Jerod Smith is the Founder of Safe Passage Transit, an-MBE certified medical logistics company that offers non-emergency medical transportation and courier services in the Chicago-land area. The company started in 2014 and has grown to a fleet of nearly a dozen vehicles that completed roughly 54,000 trips in 2016. Under Mr. Smith leadership, Safe Passage Transit has been recognized as the preferred provider for several health insurance companies, including Blue Cross Blue Shield of Illinois, IlliniCare, and Aetna Better Health. Safe Passage Transit is also a preferred vendor for the Chicago’s anchor institutions through the CASE program of World Business Chicago. Prior to launching Safe Passage Transit, Mr. Smith worked for Community Care Alliance of Illinois, a managed care organization. As one of the founding employees in the Business Development department, Mr. Smith and his team oversaw the Rockford, Illinois territory. During his tenure Mr. Smith was instrumental in the success of CCAI capturing substantial market-share. CCAI grew to become the number one healthcare plan in Rockford. 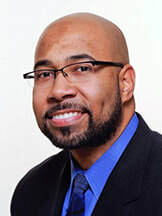 Mr. Smith has been an active member of NAHSE Chicago since 2015 and also serves as the Chairman of the Board of Director for Lawndale Christian Development Corporation (LCDC). LCDC is an advocacy organization that seeks to revitalize Chicago’s Lawndale community economic development. In his role, Mr. Smith helps LCDC manage more than $100 million in real estate investments. Mr. Smith earned his undergraduate Degree from Northern Illinois University in Business Marketing and was recently admitted into the Goldman Sachs 10,000 Small Business Program. John Butler is at Presence Health as a Practice Manager and has about 7 years of Operations experience. Prior to his current role, he was the Practice Manager, the Operations Coordinator, and a Patient Operations Representative of Osher Center for integrative medicine at Northwestern Medicine over a span of 5 years. He holds a B.S. in Biological Sciences from the University of Illinois. He has been an active NAHSE Chapter member for three-years. 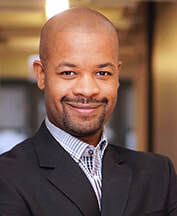 Tabari Woodson is Director of Operations, SBO at Loyola University Health System. Prior to that Tabari was the Director of Revenue Cycle at ACCESS Community Health Network and also managed the revenue cycle at Rush University Medical Center. Tabari has been a leader in health administration for over 18 years and played an integral role in transforming revenue cycle operations. Mr. Woodson studied Business Economics at Florida A & M University, earned a Bachelors of Science Degree in Business Administration from Chicago State University and a Master of Science Degree in Health System Management from Rush University. 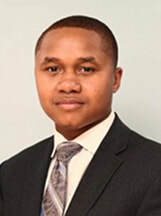 Tabari is a member of American College of Healthcare Executives, Chicago Health Executives Forum, and Healthcare Financial Management Association where he holds 2 professional certifications - Certified Healthcare Financial Professional (CHFP) and Certified Revenue Cycle Representative (CRCR). In additional to his involvement in NAHSE and other professional organizations, Mr. Woodson serves as Vice President of the Mary E. Smith Foundation charitable organization and enjoys participating in community outreach initiatives. ​Bachelor of Science Healthcare AdministrationUI Health — University of Illinois Hospital & Health Sciences System New England College. Supporting Communities to Improve the Lives of Seniors through Wellness, Home Health Care Expert, Philanthropist, Physicians Preferred Home Care, Inc.
Amelia Fulgham is the President of Business Development at Physicians Preferred Home Care, Inc. AND the main reason they have so many happy clients. Amelia collaborates closely with Physicians, Discharge Planners, Social Workers and other healthcare professionals to ensure efficient and thorough care, with the client’s and their families’ best interest in mind. Amelia has a compassion for helping the clients they serve find a better way of living. With 17 years of experience in the Home Health Care industry she’s identified many free community resources to share with clients and their families. Amelia is known as an expert in the Home Health Care industry. She takes personal responsibility to educate clients on crucial details required for the patient’s optimal recovery in the comfort of their own home.